The registration fee is $10, which will include admission to the expo. The tournament will start with only 32 players, so plan to register early, invite your friends and join in the fun! 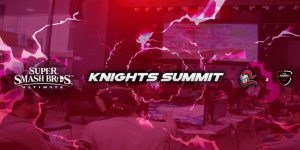 For more INFO or to REGISTER, visit the Knights Comics & Collectibles Expo Esports page.